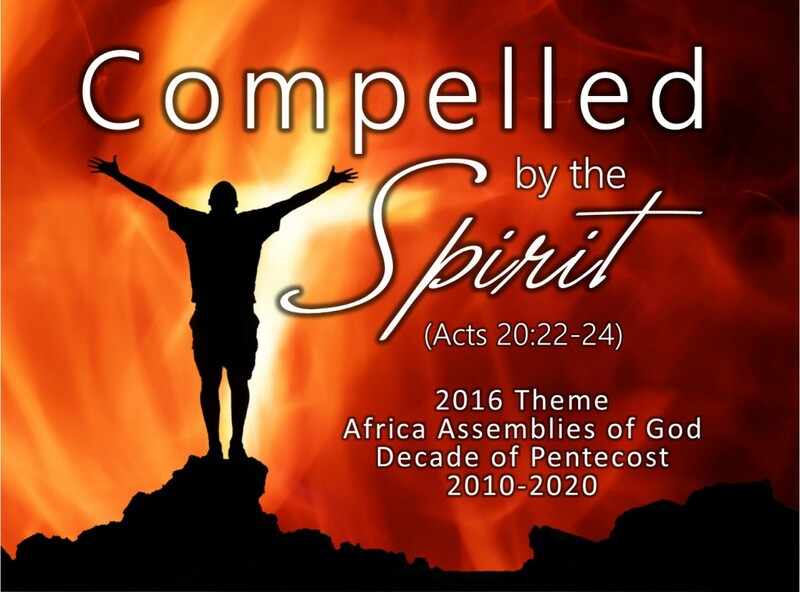 The Decade of Pentecost theme for 2016 is Compelled by the Spirit. It is based on Paul’s declaration in Acts 20:22 that he was going to Jerusalem “compelled by the Spirit” (NIV). The apostle went on to say that in Jerusalem he expected to experience hardships and even possible death. Nevertheless (and this is very important), he was committed to “the task of testifying to the gospel of God’s grace” (v. 24). 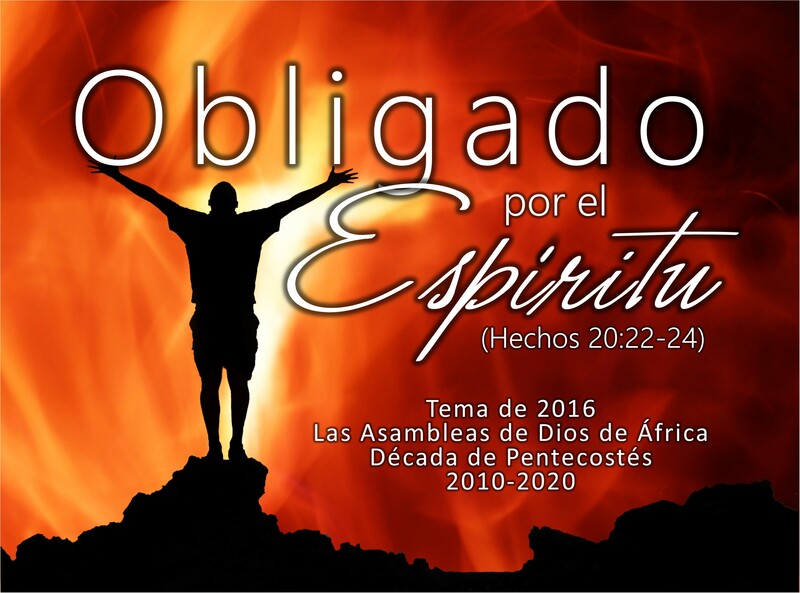 During this sixth year of the Africa Assemblies of God Alliance “Decade of Pentecost” emphasis (2010-2020), we will recommit ourselves to testifying to the gospel of God’s grace by continuing to preach the gospel in the power of the Holy Spirit (Acts 1:8). We hope that this theme will be used to inspire churches and Christians to preach the gospel more passionately, plant churches more fervently, and deploy Spirit-empowered missionaries more aggressively than ever before. 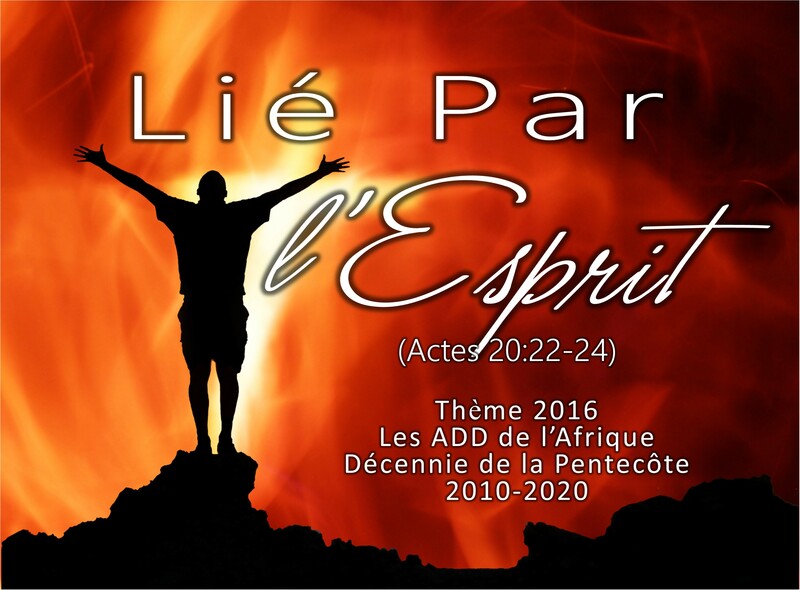 Below you will find resources to help you promote this theme during the year, including on Day of Pentecost 2016 which occurs this year on 15 May 2016.